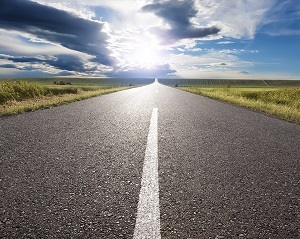 Interested in the future of energy markets? Enerdata leverages its expertise in energy forecasting, in-house databases and proprietary energy models as benchmarks to provide unique, comprehensive and robust models tailored to meet your needs. 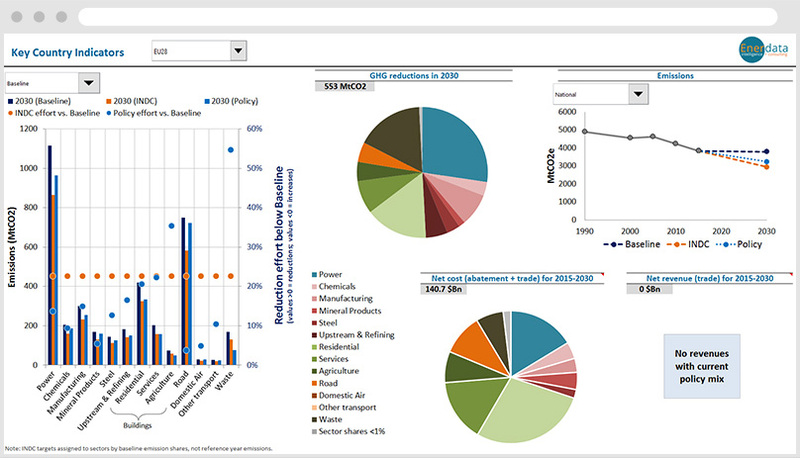 Global supply and demand forecasting model used to generate bespoke scenarios for key energy players worldwide. This bottom-up model is the latest development of the MEDEE family. 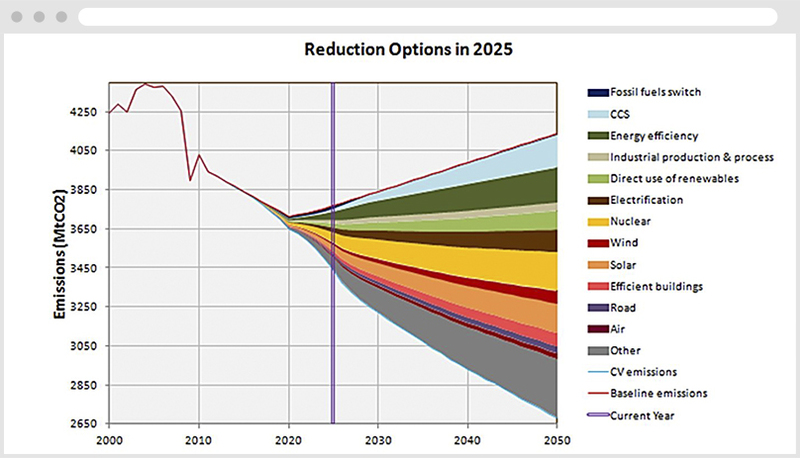 It provides long-term projections of energy demand by end-use and underlying drivers. 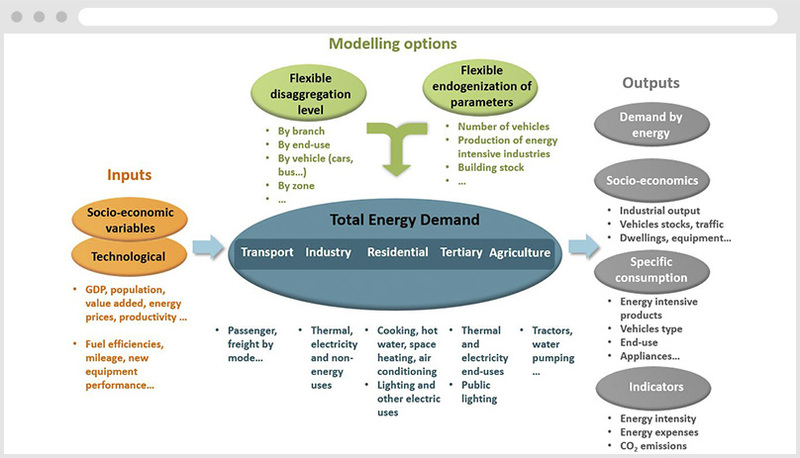 A comprehensive Excel-based simulation model for energy demand, power supply and end-user prices. 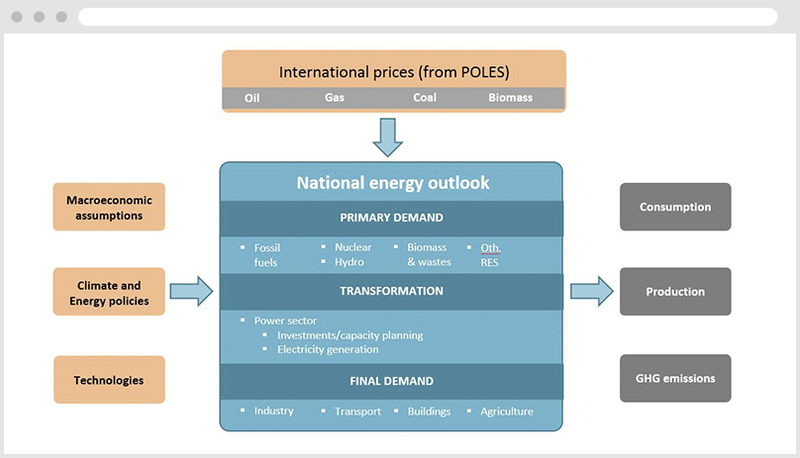 Analysis of emission reduction options and associated costs in various sectors under different energy and climate policies. 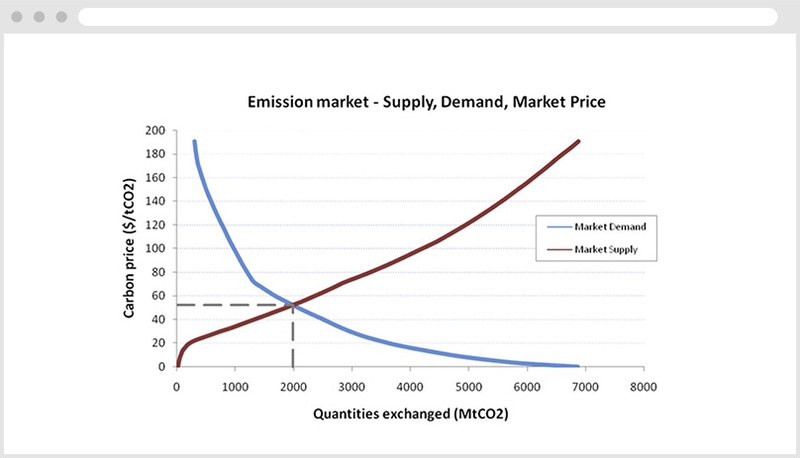 Simulation model for carbon market analysis worldwide. Multiple market design options, permit trading and carbon price calculation. 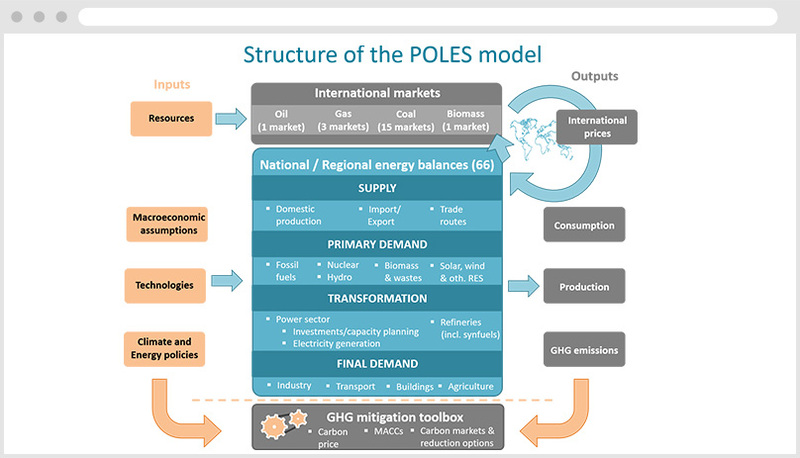 A dedicated tool supporting decision makers in climate change negotiations with robust and quantified economic assessment of countries' pledges.